The Eachine V-tail 210 is a great racing drone. Its cool painting and unique shape make it stand out from the crowd. With a new V-tail body design and carbon fiber material, it has superior ruggedness and anti-drop ability. 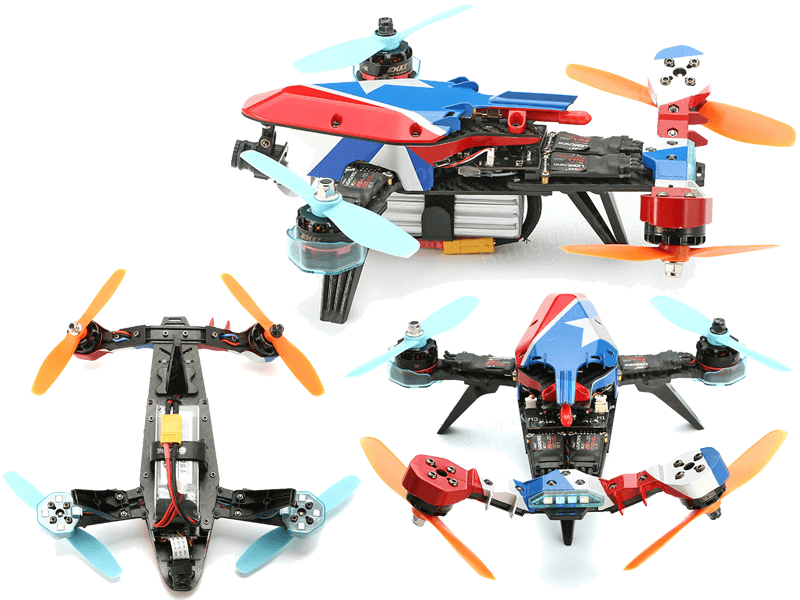 The Eachine V-tail 210 is based on SP RACING F3 EVO, which is the newest generation hardware platform, which can provide Jaw-Dropping Flight Performance. Internal ARM Cortex-M4 72Mhz CPU with Math co-processor (FPU) for efficient flight calculations that gets more done in less time. It means that the Loop times up to approximately twice as fast as previous-generation STM32F1 based boards. 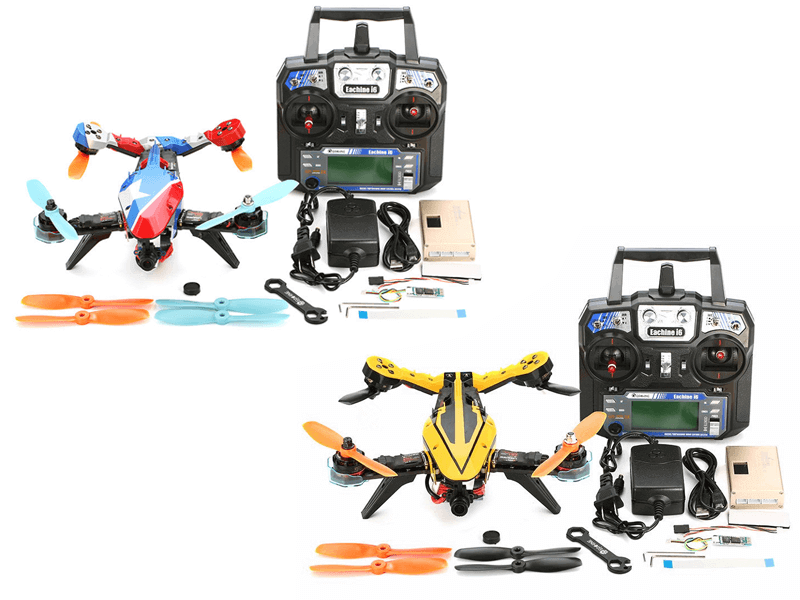 You can buy for only $119.99 from BangGood.